So after what feels like forever and also no time at all simultaneously, yesterday, for the first time ever, Matthew and I got to step foot into our first house. Its been just over 2 months since we fell in love with this plot and put down our reservation fee, and ever since then its been a whirlwind of mortgage applications, legal documents and everything else that comes with house-buying, but its all coming together in time for us to get the keys next week. Us being in Bournemouth (my home town) and the house being in Winsford has been an obvious logistical nightmare, so while most buyers would be able to check up on their new build as and when, we’ve only been up to see it a handful of times, all of which up til now have been while work was being carried out, so we’ve never been able to see the inside of the place that we’ll be making our home. Well its safe to say I’m in love. I fell in love with the house from the first time we visited a showhome, but this one just seems so much shinier and more beautiful because its ours. Because we bought so late in the build of the house, we didn’t get to make many choices – the kitchen and the bathroom tiles had already been picked – but we did get to pick the carpet and the flooring in the kitchen and bathrooms, and while it was pretty hard when you’re just looking at samples, we managed to nail it and everything goes perfectly! I can’t wait to get in next week and start the slow process of transforming this empty (but beautiful) shell of our house into our home, and I’m planning on doing before/after posts for each room as and when we finish them, plus everything else along the way, so be prepared for a whole bunch of house posts in the coming months! Oh, and on top of having a beautiful house, we have the most amazing back garden! I’m feeling really super blessed that we managed to get this house, and even though I’ll probably never have savings again, it seems absolutely worth it. A lot has happened since the last kitten update that I posted, with the biggest development being that they are now also outdoor explorers! Due to their size, and being black cats in dark winter days, we were maybe a little over cautious in waiting as long as we did to let them outside, starting off with a few short, supervised excursions to the garden, and then once we finally got round to getting their pet insurance sorted and getting the cat flap fitted, Boxing Day was when we let them have free reign over the garden. It was fairly terrifying at first – more for me than the kittens! – but eventually they learned their way around not only our garden but some of the neighbouring ones, and more importantly, how to get back again. The cat flap, on the other hand, was a slightly more difficult thing to teach.. It took a lot of pushing them through, leaving it propped open so they could actually get back in again, and handfuls of treats, but they finally got the hang out not only going out (which they worked out first) but also getting back in again! We have been locking the cat flap at night to stop them going out in the dark, but they’ve actually got so used to their evening routine of dinner followed by sofa time that they don’t actually seem to have any interest in the outside world past sunset! Obviously they’ve grown a lot. Ozzy is now the size of most normal cats, but that’s helped by all his fluff, while Ronnie remains the smaller of the two, as he always has been. Personality wise, there’s also been a lot of change; Ozzy has become very confident in terms of exploring outside (including being seen following the local fox around the garden), while Ronnie often sits at the back door and meows for people to come outside and play with him, especially if Ozzy has gone off without him! Ronnie is super needy and loves being around humans, and while Ozzy is still the more timid of the two when it comes to interaction with people, he’s come such a long way, and I pick him up for cuddles every day. I don’t think any of us could imagine them not being in our lives anymore. They snuggle with us on the sofa, Ronnie sometimes sleeps on the bed and Ozzy frequently naps underneath our bed. Even though they love it outside they do still spend a lot of their days asleep inside, probably because its been quite chilly, but also due to the fact that they just seem to like being with us, and we just love that. Its been almost 4 months since our furry companions came home with us, and quite frankly life hasn’t been the same since. Now our kitten experience hasn’t been an entirely normal one given the circumstances. Ozzy and Ronnie are rescue kittens that were found, along with their 2 siblings, at 4 weeks old in an abandoned shed, and we don’t know if their mother was ever around in the first few weeks of their lives, but Cats Protection did a great job in looking after them until they could come home to us at 8 weeks. 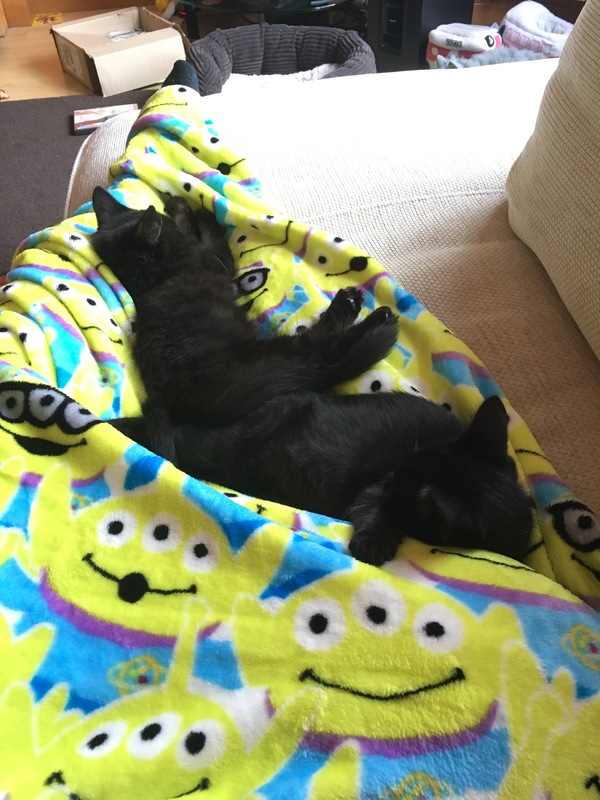 They were tiny and very timid, once upon a time, that is..
Now we have two fledgling little cats, and as the first cats that this household has seen, its safe to say we’ve learnt a lot in these last 4 months. Wanna know what? Within the first few weeks of being home, these two little monsters had learned to shimmy up the curtains, and while they couldn’t really do much damage up there, they’re now perfectly capable, should they wish, to get up onto the kitchen worktop, dining table, banisters, and even now they’re trying to find out how to get on top of the fridge! I think this is just a kitten thing that they’ll grow out of, but Ronnie especially has to be wherever you are, even if this means squeezing his way onto the same chair that you’re sitting on.. It takes a cat about half a second to change their mind from wanting your attention to not wanting it. You’ll know. That is, unless you want company; open a packet of crisps and its like turning on a cat magnet. Even Ozzy, who is still timid at the best of times, will practically be on your lap if you have food out. Stretched out like a sausage, belly in the air, spooning each other, sitting on each other’s heads.. It must just be in their DNA. The first box we ever left out for the boys they were in instantly. They simultaneously loved sitting in it but also destroying it. Cos, y’know, cats.. I get no peace if I’m sat with my laptop on the sofa, but they’ll even climb up onto a desk to walk across the keys if it takes their fancy. Spoiler alert, it always does. At first, every little noise will have you running to see what’s been knocked over this time, but eventually it just becomes so common that you know you’ll find it inevitably. In any case if the cat comes running from the sound, you know they’re not hurt. Ozzy, Oz, Oswald, Oz Monster, Dolphin Boy, Fluff, Little Fluff, Squish. Ronnie, Ron, Ronald, Baby Ron, Baby Ronald, Trouble, Silly Cat, Furry One, the list goes on.. Even if you shut a door to a cat, it doesn’t mean they’re not gonna find some way to get in there. Ozzy and Ronnie’s particular favourite is waiting until you have a basket of laundry in your hands and using that opportunity to sneak into the garage when you open the door..
And that’s just the start of it! Who knows what I’ll learn next..
We all know that going to the cinema these days is not exactly cheap. Chances are, you’re paying about £10 for your ticket alone, and then comes the popcorn craving, which of course means you’re gonna need the biggest drink they’ve got going, and suddenly you’re £20+ down. Ouch. And sure, going to the cinema is the only way (legally!) to see the latest and greatest movies making their way to the screen, but personally I much prefer to be curled up on my own sofa when it comes to enjoying cinematic greatness. Luckily for us, technology is moving forward every day, and our TV screens are only getting bigger and better; first it was HD, now it’s 4K and OLED, and as I’m just about old enough to remember TVs being as deep as they were wide, screens like this Panasonic 4K Oled TV just blow my mind with how thin they are now, while still being packed with all these amazing features! As a fan of a good movie marathon, over the years I’ve learned a lot about how you can make home seem like the cinema, just without saying goodbye to your bank balance in the process..
I’ve always wondered why cinemas aren’t a lot more comfortable. For me, a blanket is a must, and I’ll probably be in my pyjamas, but you can do whatever you like – you could even build a movie den with duvets and cushions! Cinema popcorn might cost a small fortune but at home you can make it for a fraction of the price, plus you can get more creative! 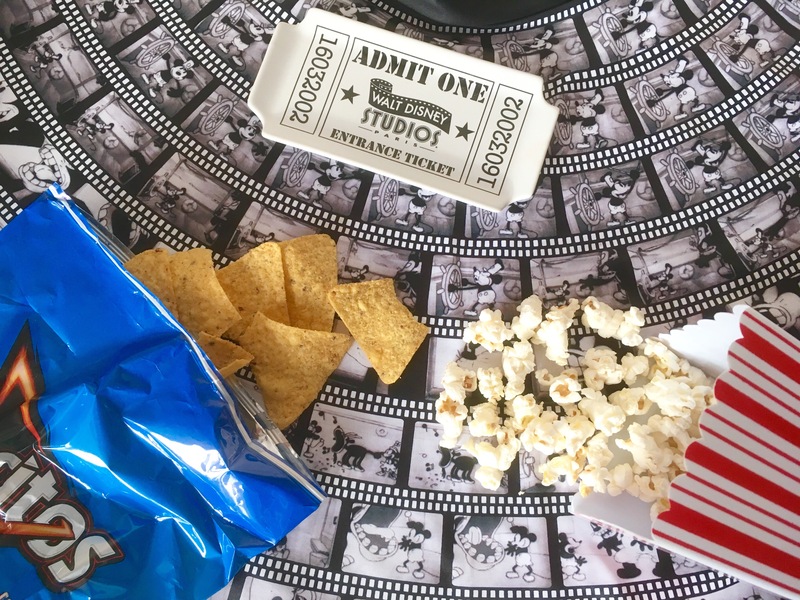 Whatever snacks you get, be sure to have everything sorted before you hit play so you don’t have to pause the movie magic when you get peckish. There’s nothing worse than that person in the row in front at the movies who checks their Snapchat midway through the film, so if you can turn off your tech at the cinema, why not at home too? If you’re running a back to back marathon, don’t forget to allow time for toilet breaks or meals between films, especially if you’re trying to squeeze in a lot of films! Turn the lights down, pull the curtains and shut out any distractions; this is your movie time. As I mentioned earlier, the tech behind making and watching movies has improved dramatically over even just the last few years, and if you have the tech, use it! I’m talking surround sound/sound bars for the ultimate sound experience, HD and Bluray for the ultimate visual experience, even 3D in some cases! What do you do to have the ultimate movie night? Its now been six weeks since our little rescue kittens came home, and its been six weeks of craziness and fluffiness! 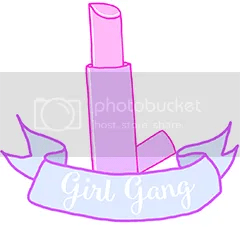 Read my first post here! Well the biggest change in our kitties is definitely in their size – they’re practically double the size they were when they came home! They’ll eat practically anything you put in front of them, and we’re giving them more than double the amount of food they used to eat. We give them both wet and dry food, and we’ve been using as many different brands of cat food so they don’t get too picky! The other main change is that while previously we kept them in just one room, they now have total freedom within the house, which just means more space to cause trouble – they’ve already learnt to climb onto as many surfaces as possible, and very much enjoy knocking things off my dad’s desk, plus Ronnie can scale the curtains.. They’re still too small to go outside, and they also haven’t had all their vet visits yet so they’re just indoor cats for the time being! Both kittens have learned their names, and will generally come when called, although not when they’re busy playing, and as well as being referred to by their actual names, they can also be Oz and Ron for short or Oswald and Ronald if we’re feeling fancy. Ozzy is still very shy but he is coming out of his shell. He never used to let us even stroke him, but now he’s happy to curl up on the sofa with us, and he loves tickles under his chin, plus if he’s nice and relaxed he will let us pick him for a cuddle. Rather than a proper meow, he tends to squeak and make noises a bit like a dolphin, and when he can’t find Ronnie he makes a little crying sound and Ron will come running for his brother! He absolutely loves sitting in the window sill and watching the world outside, but I think when the time comes he’ll be too nervous to venture outside without the protection of his brother. Ronnie on the other hand is very comfortable with everything. 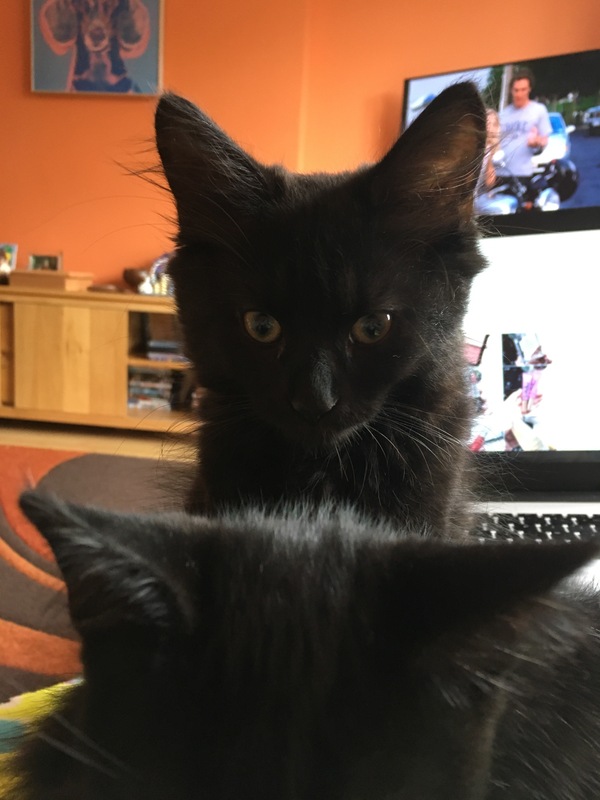 He’s definitely taken on the role of big brother, despite once being the smallest of the litter, and at their last vet visit he actually weighed in heavier than Oz, despite Oz’s fluff giving the impression that he’s bigger – this is due to his ability to eat a lot faster than Ozzy! Ron can be picked up and carried around with no issues at all, although if he’s in stalking mode he’s much more interested in chasing his own tale. Ronnie is desperate to go outside, and makes every attempt to sneak out of the front door if given the chance.. They both still suckle on anything fluffy due to their lack of a mother – including my sister’s rabbits – and this is something that they will probably never grow out of, but other than that they seem to have adapted to normal life really well, even if Ozzy is still getting there..
We’ve well and truly become cat people!